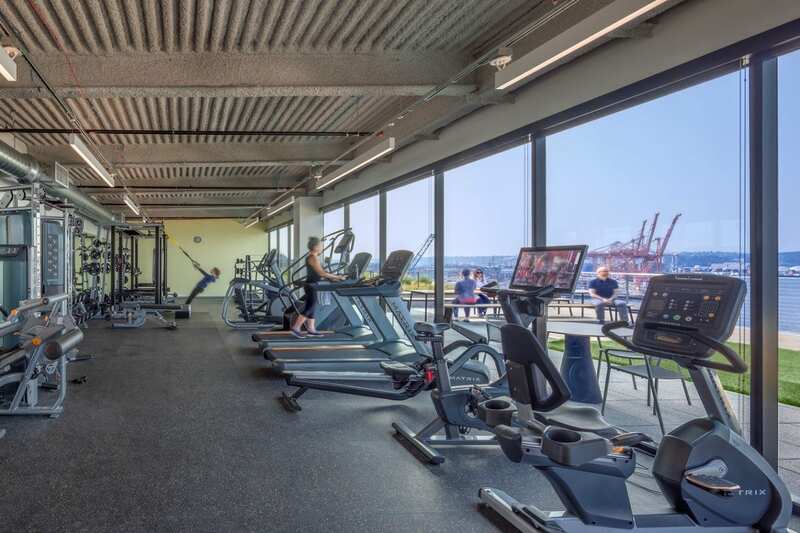 A view to the outdoor deck, a waterfront vista, and an abundance of natural light inspire a workout. Big Fish Games, Seattle, Washington. Photographer © Sherman Takata. Keeping fit is a passion for some and a chore for others; either way the scheduling of a workout can be a challenge. 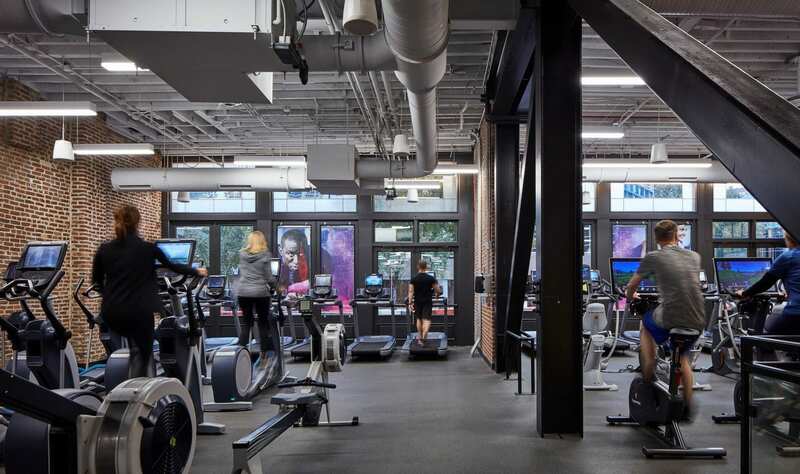 But when a fitness facility is part of the workplace, replete with amenities—which is increasingly the case as companies renovate, move to new locations, or establish stand-alone fitness centers near the office—an enticement to wellness is an immediate benefit. 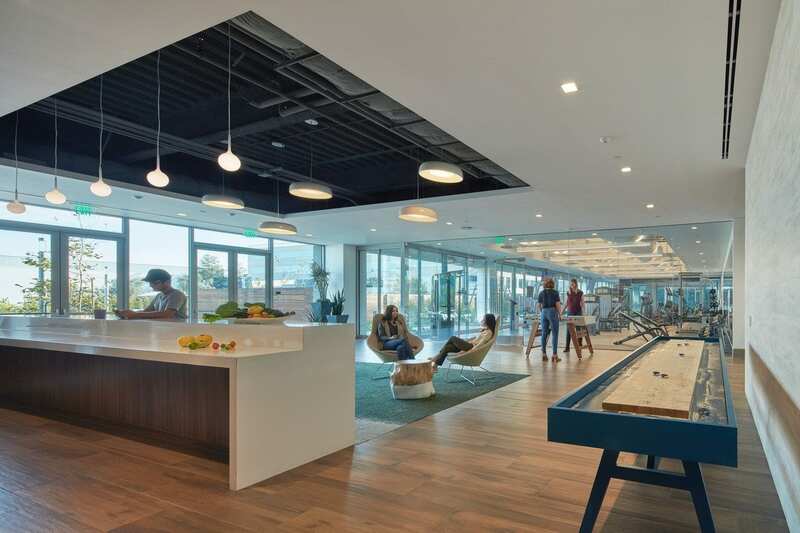 A boon for the human experience at work, such centers can have a positive impact on morale, production, and recruitment and retention. 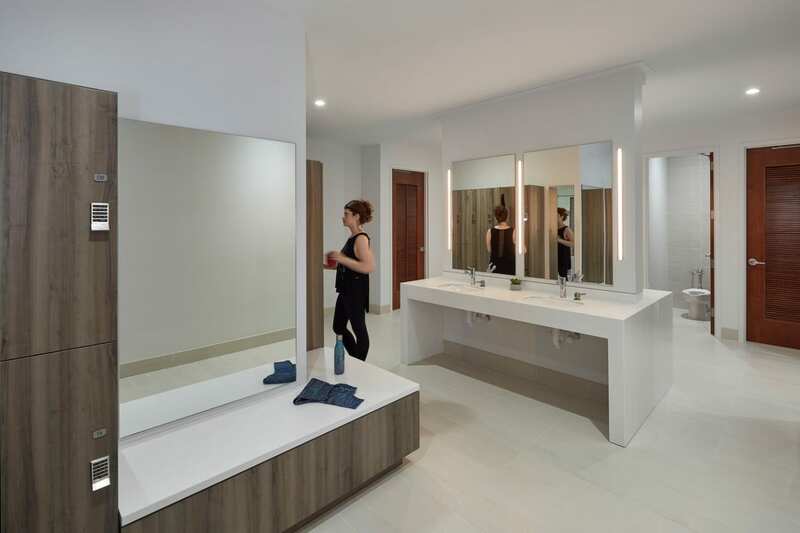 The IA team has designed a variety of these facilities, each with its own focus tailored to client goals and culture. Here are a few. Wel at Humana™, Louisville, KY. Photography © Tom Harris. 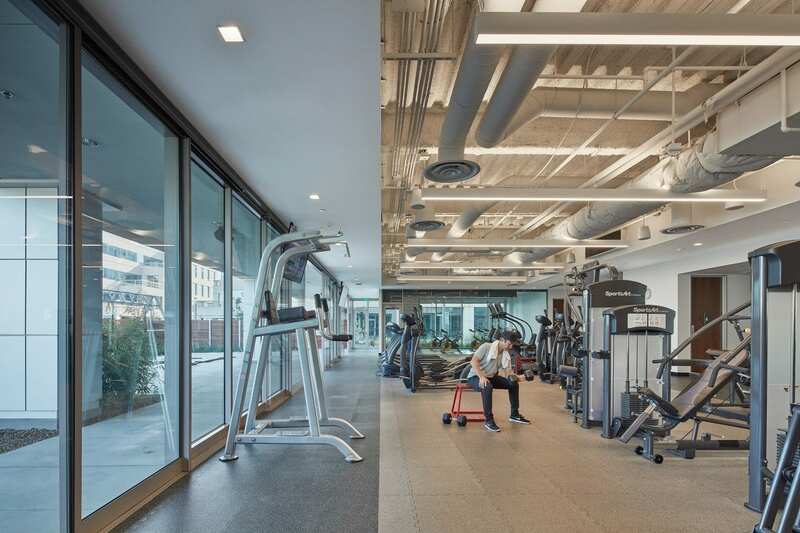 At this wellness center (above and below), created for employees but open to the community, fitness can be pursued at any level, intense or more relaxed. An after workout stint in the sauna is a great way to unwind and may lower blood pressure. John Buck Company, Chicago. Photography © Estevan Cruz. 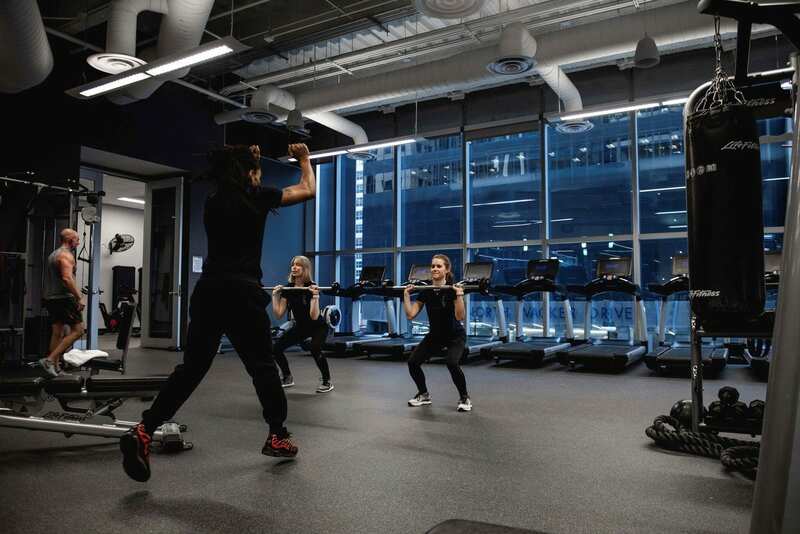 Often in-house gyms are manned by a personal trainer and offer a variety of classes. Weight training is one of many options. John Buck Company, Chicago. Photograph © Estevan Cruz. A view to the neighborhood and plenty of natural light heightens the experience. Confidential Client, Raleigh, NC. Photography © Mark Herboth. Graphics can enhance the environment and encourage and motivate. Hines Intersect Campus, Irvine, CA. Photograph © Benny Chan. 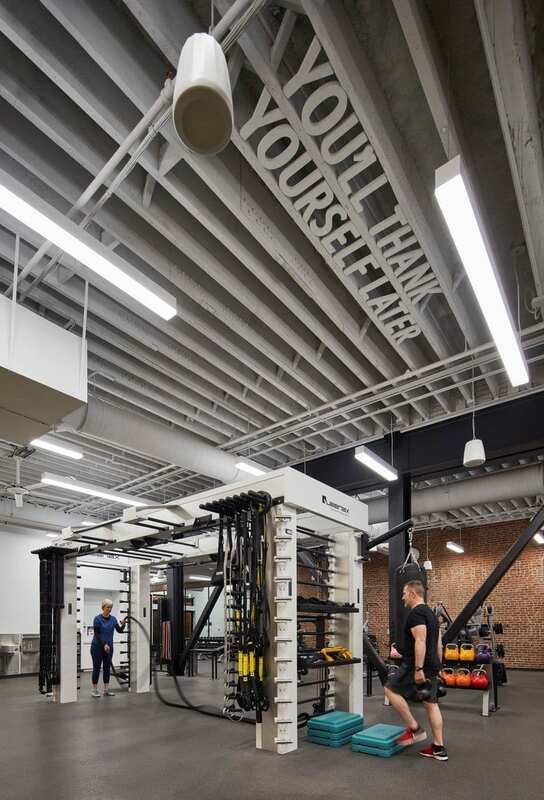 This facility (above and below) offers indoor and outdoor fitness equipment with a view to an adjacent game room and break area. Confidential Client, San Francisco, CA. Photography © Eric Laignel. A locker room is an appreciated convenience. Confidential Client, San Francisco, CA. Photographer © Eric Laignel. 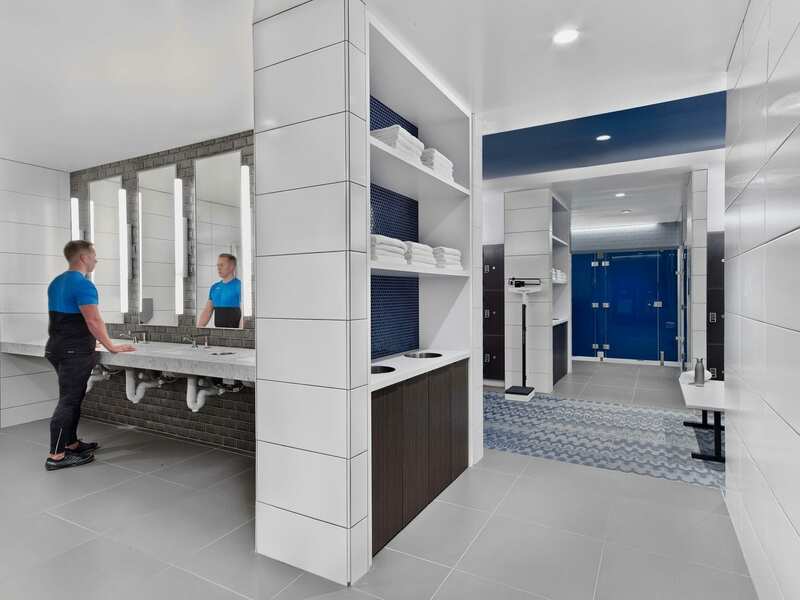 After workout amenities can be straightforward, sleek, and functional. NN, Inc. Headquarters, Charlotte, NC. Photography © Monica Slaney. Or they can offer a more spa-like environment. 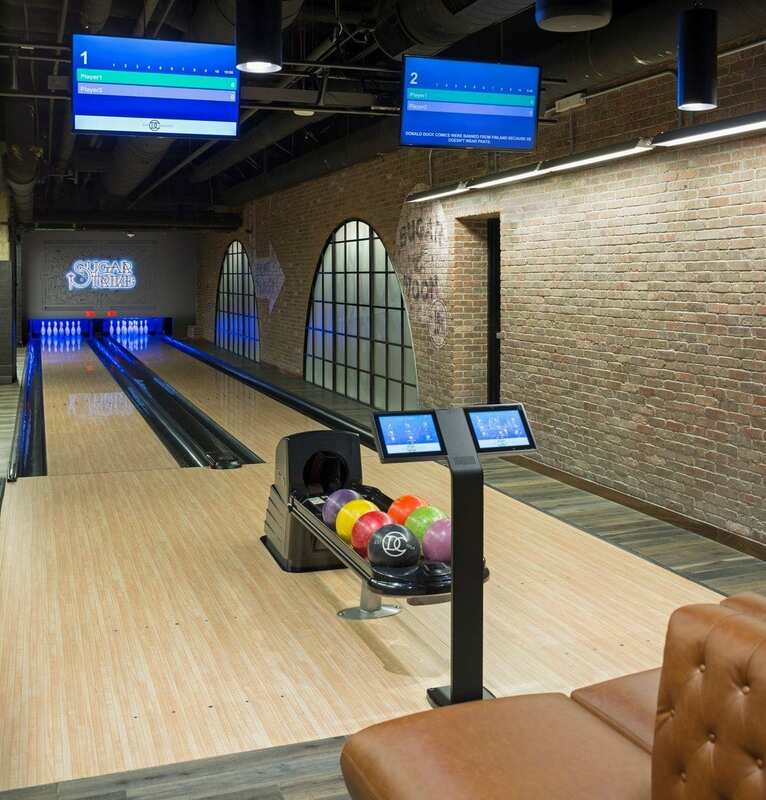 Some facilities expand the concept of fitness to include an in-house bowling alley, putting green, or a variety of activities that keep staff moving, including ping pong and shuffleboard. 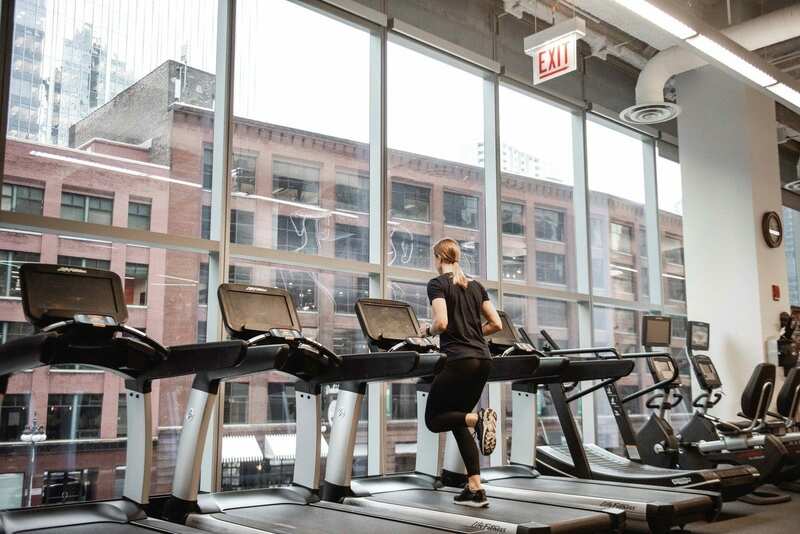 As organizations look to create wellness, in-house fitness centers provide an opportunity that entices staff to a healthier lifestyle, which is at the heart of good health.